This young patient came to Dr. Patrick Mwamba for temple and hairline restoration. With young patients who don’t suffer from advanced hair loss, we caution that maximal medical therapy is important to combat the progressive nature of hair loss. The patient has above average donor density and was treated with 1530 FUE by FIT grafts in one surgery session. Below are the 7-month results photos and immediate post-op photos from the procedure performed in Brussels, Belgium. 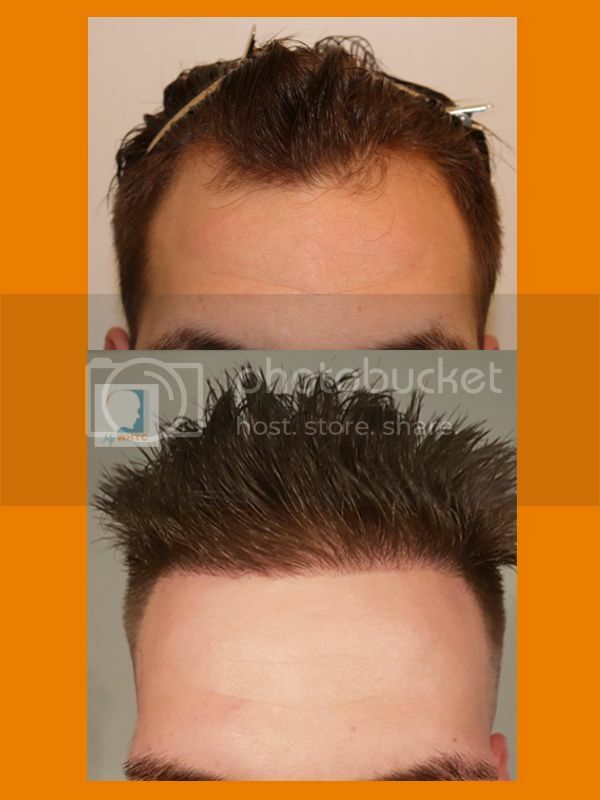 The patient can choose to thicken the hairline at a later date in the future. My World Hair Transplant Center is pleased to present another patient who has benefited from the efforts of Dr. Patrick Mwamba and his elite surgical staff. wow 1500 grafts for this density is excellent yield but isn’t the hairline a bit too straight or is that because of the camera’s angle? and how young is he?